as I've mentioned a few times over the last couple of weeks, I am moving my blog. I have changed the link in my feed so my email subscribers will continue to receive posts from the new blog, however, it would be better if you do subscribe by email to sign up under my new blog and unsubscribe from the old email. So if you receive this post by email, please could you go to the new blog http://bedlamandbutterflies.co.uk and subscribe there to ensure that you continue to receive my posts by email. I really would like to make sure you don't miss anything! Thanks so much for following me - I really appreciate your support! 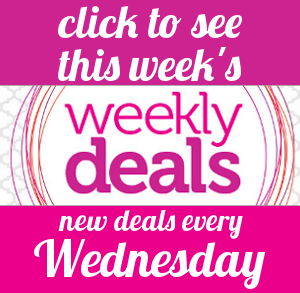 And now on to this week's weekly deals! I may have mentioned once or twice in previous posts, that we are currently undertaking a project to extend our house. I've secretly code-named it Operation Craft Room (shhh don't tell the hubby! lol). Anyway, the house is a complete mess, dust and mud everywhere - inside and out - as you will see from the dusty window in the picture below. In the midst of all this activity and noise, I was busy building a house of my own (I do hope my builders are better at their measurements than I was with this project, ahem!). And so, this is the house that I built - out of upcycled Stampin' Up! packaging cardboard. I used the heavy duty cardboard that comes in packs to keep the product flat such as the treat boxes, DSP etc. I drew the windows in after cutting the roof shape and cut them all out by hand with a Stanley knife adn a metal ruler! (Oh I so need an e-cutter!). I made "floors" inside for the boxes to rest on too. It's actually a pretty sturdy thing. I covered the walls with Whisper White card stock and painted on a coat of Mod Podge to protect it a) from me whilst completing it and b) from the Bedlam Brothers who it is for. They now have two advent calendars - one each! The hope is, they will now NOT fight over whose turn it is to open the calendar each day as they did last year. What's the betting they'll be fighting over who opens which calendar instead? Now unlike my builders who do know what they are doing, I kind of made this on the fly and got the measurements for the "floors" wrong. I made them as wide as the side walls when they needed to be slightly smaller so I had to re-score the side flaps on each side at the back. This left a bit of an unsightly warping and wrinkling, plus the seams in the various pieces of Whisper White were very noticeable. I had been wondering what to do when I saw this project from Patty Bennett in the US - kerching! Bricks from the ticket duo builder punch - brilliant! I was able to hide the seam on both sides at the front with the little ticket and the seam and the ugly warping at the back!! Fantastic - thank you Patty!! I made all the drawers from Real Red card stock and covered the fronts with Nordic Noel DSP. The roof is covered with Under the Tree Speciality DSP! My oldest son has filled the drawers with chocolate. He was so happy that I let him do it - bless! All in all I'm pretty chuffed with how it looks now. I hope you like it too! Thanks for stopping by. Today I'm sharing two of the Stampin' Up! projects we recently did in my monthly class. This one, which is a CASE from the Stampin' Up! Annual Catalogue, was quite challenging. I had been asked how it was done and thought it would be a good technique to showcase in a class. The background is stamped using the Lovely Lace embossing folder. You ink up the inside of the folder (the side which says Made In China on it) with Versamark ink and then sandwich your card stock in between and apply even pressure to the outside to transfer the Versamark to the cardstock. I found that the best results were when I used the brayer to roll over the outside, with the embossing folder on a Stampin' Pierce Mat or rubbing your fingers firmly over the outside, with the folder on the mat. This second card was using the Blendabilities (Wisteria Wonder). I had been asked by one of my lovely ladies if we could do another project using them and the Blended Bloom rubber stamp. I will be doing a special Blendabilities class in the new year - so watch this space for more details. 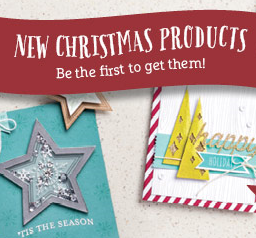 This week I am working on a load of Christmas projects to display at my upline, Michelle's training on Sunday. So expect a full blown Christmas theme going on next week! My eldest son, Regan, was a bit non-plussed about the project I was working on yesterday. Personally I was very excited about it - maybe when he sees it finished he will be too as it is for him and his brother!! I hope you've enjoyed today's projects. Thanks for stopping by. Well I managed to get some of the Christmas cards completed following my self set challenge on Wednesday. I love Stampin' Up! 's photopolymer Endless Wishes stamp set. I have so many ideas in my head using these Christmas stamps at the moment! I started these cards at the same time as the Four Feather's birthday cards I shared on Monday. I used the same ink splatter technique i.e. squeeze some white ink on a flat surface (I used one of my acrylic blocks) and then mix a little surgical spirits/rubbing alcohol from an Aquapainter and then gently flick the brush over the card stock. It's great fun but be warned it's a little messy. Note to self: splatter the ink in a cardboard box next time. I got white ink everywhere - all over my camera, computer, drawer units. Everything on my desk basically ended up being splattered lol! The Bedlam Brothers were fascinated by the process. They wanted to "help"! Ha ha - I will do this with them once we have the build work done and we have the room to make sure the walls don't get covered! We're a little cramped in at the moment. Downstairs we have one room that is functioning as a living/dining room and food prep room. I still have use of the oven and the sink in the kitchen but there are no work tops left. I've made some of the Kraft ones for the school to sell at their Christmas fair in a couple of weeks. What do you think? Would you buy this sort of thing at a school fair? I'm doing a few other styles of cards as well, so hopefully they will sell. Well that's it from me this week. I hope you have a fantastic weekend, whatever you may be doing - hopefully that will include some crafting! p.s. don't forget my blog will be moving to http://bedlamandbutterflies.co.uk. Pop over and sign up to follow me by email. I will try to migrate all my current followers across if possible. There's been another run of little boys' birthdays recently. 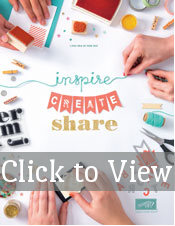 I immediately thought of Stampin' Up! ® Sea Street rubber stamp set (available in wood or clear) and shaker cards. The outside of the card is made using the Maritime Designer Series Paper. I usually have an aversion to cutting up DSP, but I'm trying to get over it! I've had this paper since the demonstrator pre-order back in June and not used it until now! I loved making these cards and was really pleased with them. My 5 year old son, however, was totally unimpressed, said they were boring and demanded I make cards with race cars on them instead! Luckily the recipient liked them (or at least the Mum did lol!). I put gold glitter in one of them, but it kept falling out every time I shook the card so I decided not to for these two. I cut out all the little crabs, lobster, star fish and anchor by hand. I hope you've enjoyed today's projects. Don't forget I will be moving my blog soon to http://bedlamandbutterflies.co.uk. I will try to move all my email followers over, but please do pop by the new blog and follow me there to make sure you still get my posts - and a big thank you for your support! And finally don't forget about the Weekly Deals! Wow - I can't believe it's November already! Today's projects are the same card in two different colour schemes. I was inspired by a Christmas tag on Pinterest. I thought Stampin' Up! 's Four Feathers rubber stamp set and matching Feathers framelits (available as a bundle) would would be perfect instead of the holly leaves. What do you think? I love both, but I do like the splash of red on the Kraft version. I'm in the middle of making some Christmas cards in this style and these colour combinations too. I'll post the Christmas version later in the week. Now there's a challenge to myself to get them finished! We're now in to the second month of our 3.5 month build. It's very exciting but it is keeping me distracted and away from crafting! And if that wasn't enough I'm also trying to move my blog! I'm going to try to migrate my email followers over but I will post the address on here when its ready. So if you want to make sure you keep getting my blog posts then please sign up (again) via the new page! All content, including text, photographs and projects are © Tracy May. My creations are shared for inspiration only and are not intended for submission to contests, publication or for personal monetary gain.